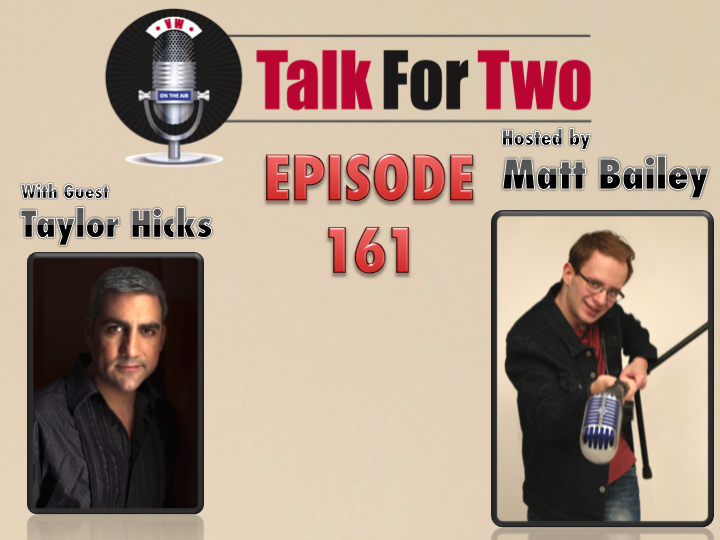 American Idol winner Taylor Hicks sits down with Matt to discuss his love of music, and Broadway, and television. Hicks became the fifth winner of the iconic singing competition on May 24, 2006. Since that time, he has been keeping very busy. Hicks has appeared on Broadway in Grease, toured the country performing for his legions of fans, and even hosting his own television show on INSP Network. The show, State Plate, is currently filming new episodes. Bailey and Hicks discuss all of this and much more. For all of our southern friends, Taylor Hicks will be appearing at various venues in North Carolina and Georgia starting April 6th. Get your tickets by visiting his website. Thanks for taking time with our Soul Man! Taylor forgot to tell you that he was traveling with Grease also. He did about 4 months in NY and then they took it on the road for about 18 months. All over the country. Always good to hear from Taylor. I’ve followed his career since Idol and he is a great performer. His new show State Plate is very good. Enjoy it.